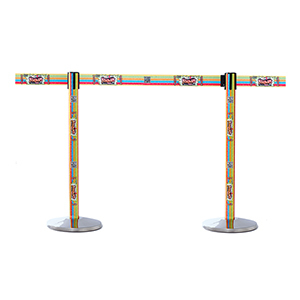 Unique-Expo is now offering several options to augment your existing crowd management barriers and queue posts to look more attractive and serve as advertising tools. 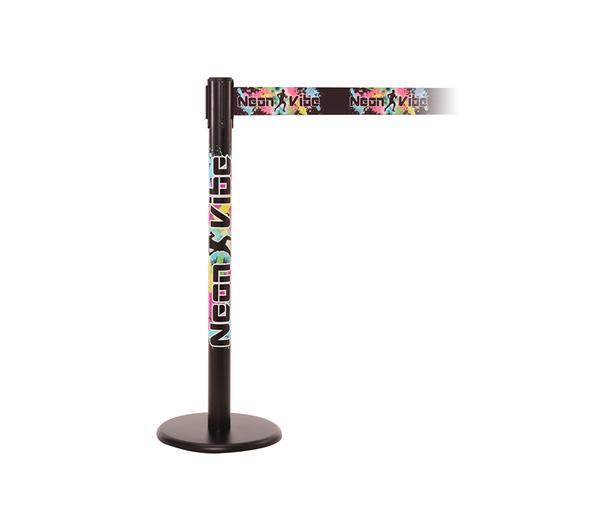 We have several options and are constantly adding new products to make sure your crowd control products are not only functional, but visually appealing as well! 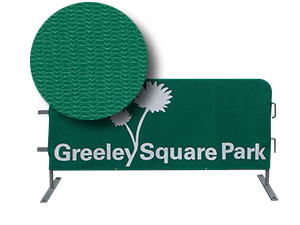 Custom printed covers for bike rack barricades. 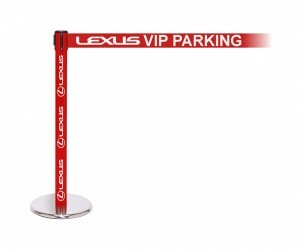 We can fit any model barrier! 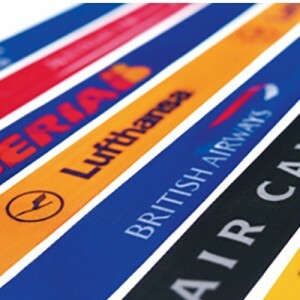 We can print your logo or design on the belt of your queue post. 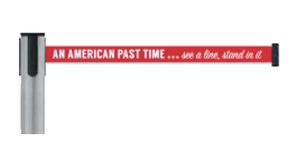 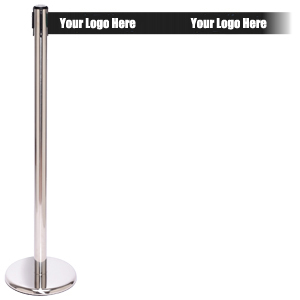 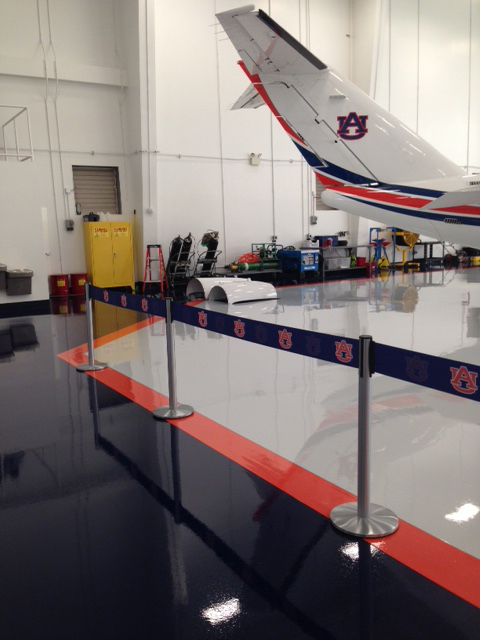 Don’t just stop at the custom belt – we can outfit your the post of your stanchions with any design! 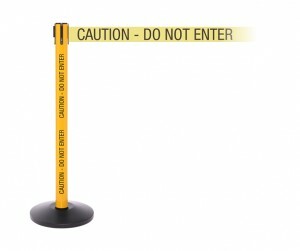 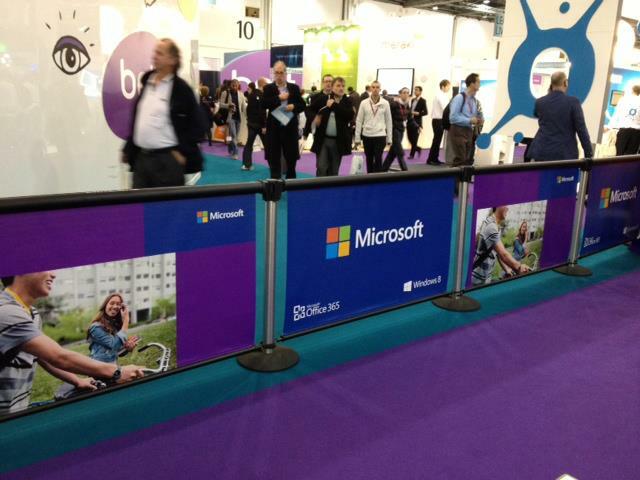 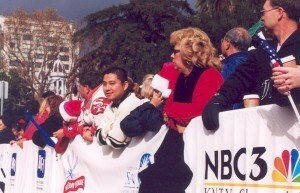 Steel barriers or bike rack barricades are the preferred product for outdoor crowd management. 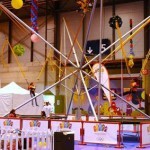 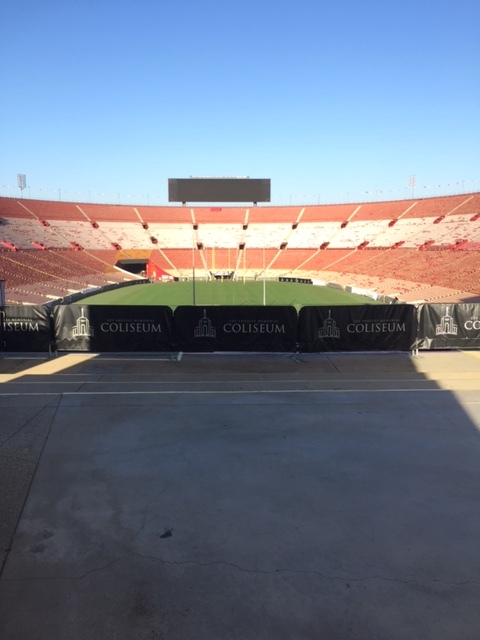 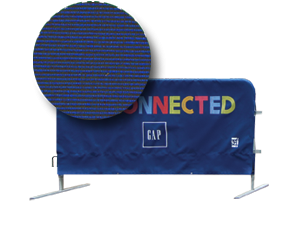 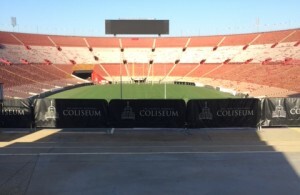 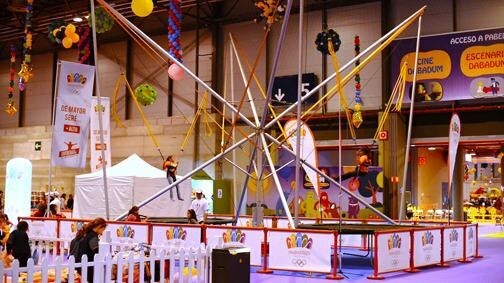 For events like parades, festivals, sporting events, marathon races, and more – these barriers are sure to be found! 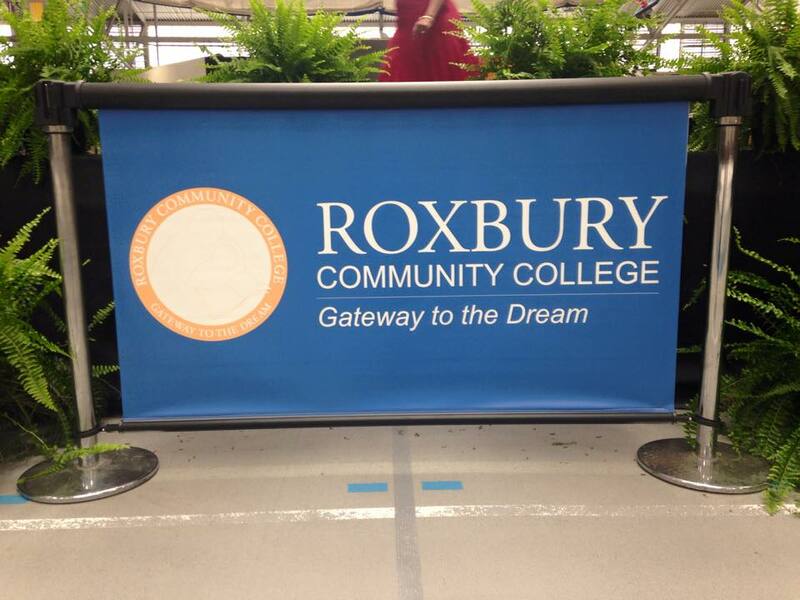 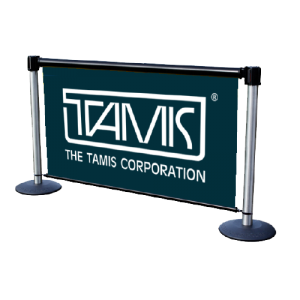 Take advantage of the real estate provided by steel barriers to advertise your logo or message! 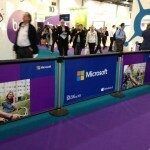 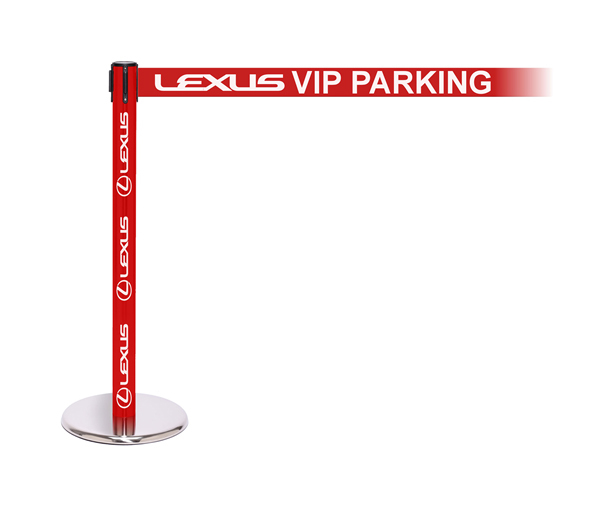 We are able to print any design and fit any brand steel barricade. 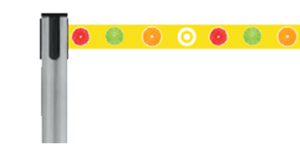 Print Your Logo or Custom Message on Any Belt! 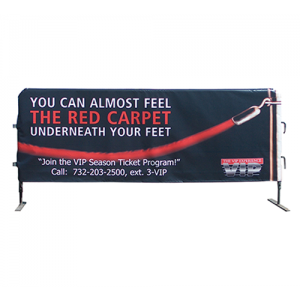 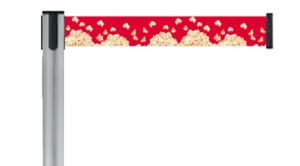 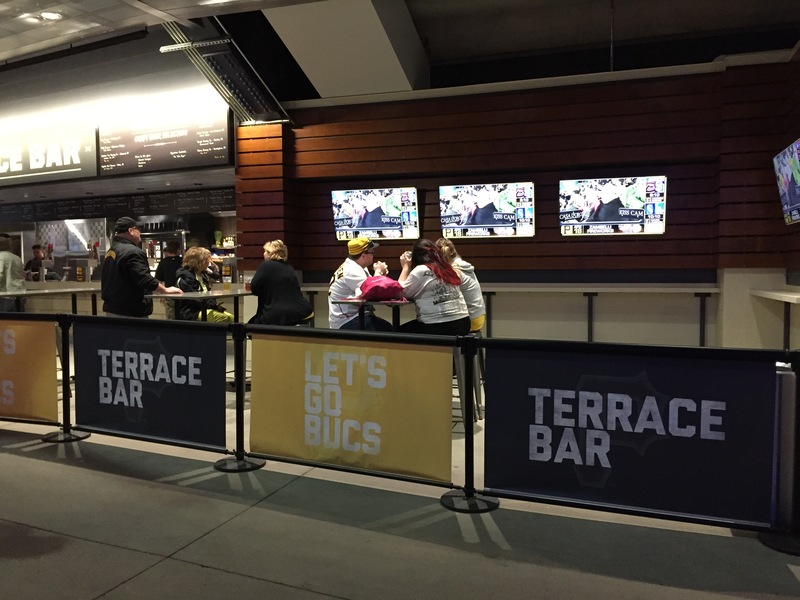 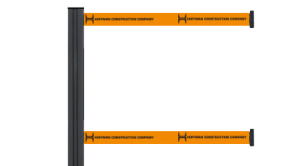 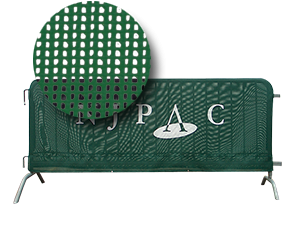 Q-Banner Custom Printed Billboards for Belt Stanchions are a new and innovative advertising tool for retractable belt barriers. 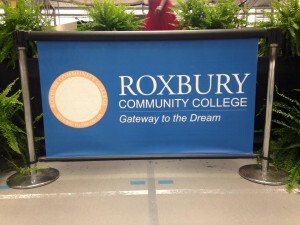 These banners can be single or double-sided and are available in vinyl and mesh material. 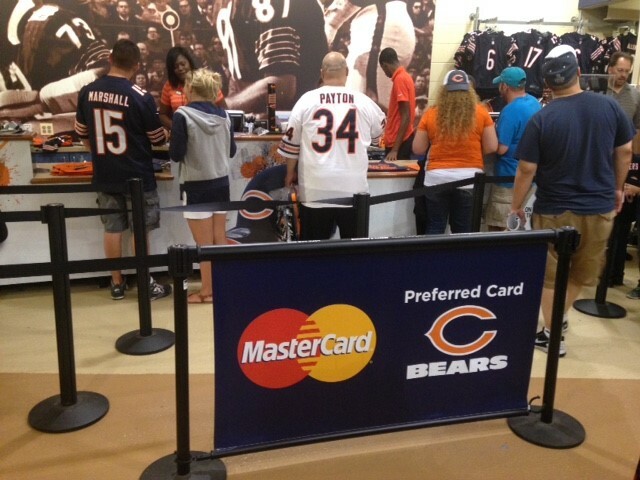 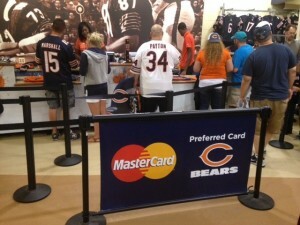 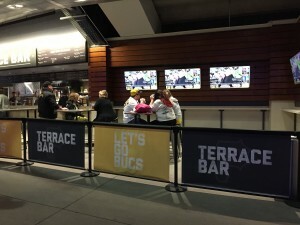 Custom Post Wraps are a new and unique accent for retractable belt queue posts. 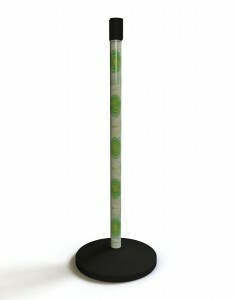 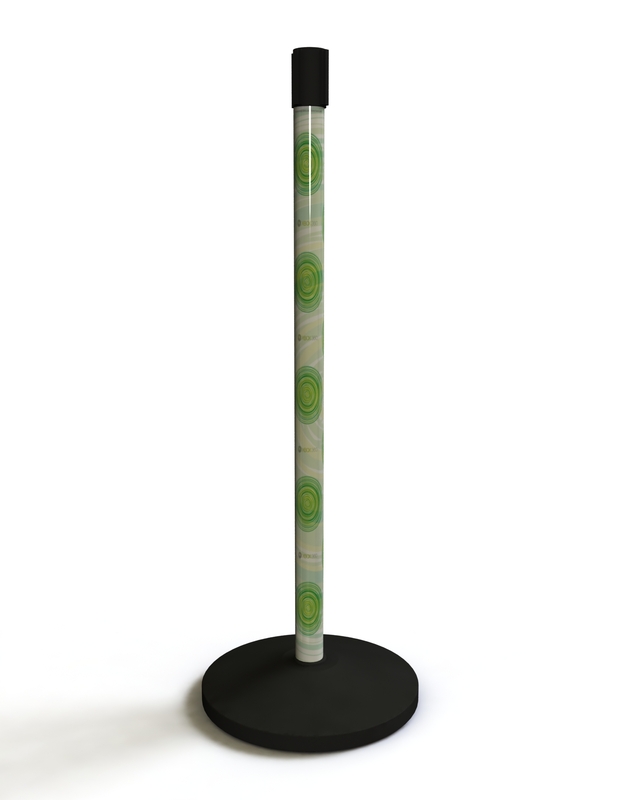 Match the post wrap with a custom printed belt for a completely branded belt stanchion. 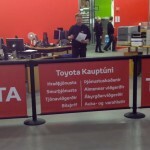 Use a gradient or design like wood grain or stone or your own logo. Caution or hazardous message post wraps are also available for added visibility.